About Talent is a workforce solutions company that specializes in planning, identifying, acquiring, and managing talent on behalf of our clients. Above all, we find talent that will champion and align with our client’s distinct workplace culture. About Talent is the workforce solutions flagship of Roth Companies. Our core competencies include Recruitment Process Outsourcing (RPO), Managed Service Provider (MSP), Vendor Management System (VMS), Statement of Work (SOW) Management, Independent Contractors (1099) Compliance Management and Payrolling Services. Roth Companies is one of the largest privately held workforce solutions companies in the U.S. recognized for building exceptional workplace culture and engagement with accolades including Great Place to Work® “Best Small & Medium Workplaces” published by Fortune magazine, Fortune 100 Best Workplaces for Women and Achievers 50 Most Engaged Workplaces™. Roth Companies remains the only workforce solutions firm ever ranked #1 on the Inc. 500 list of fastest-growing, privately-owned companies. Webinar: So you’ve implemented an RPO program…now what? This webinar focuses on the relationship between RPO customers and service providers at various stages of an engagement lifecycle. As with any relationship there is an element of trust. However, trust is earned over time. Therefore, emphasizing metrics and service level agreements early and establishing effective communication routines can contribute to fruitful long lasting relationships. 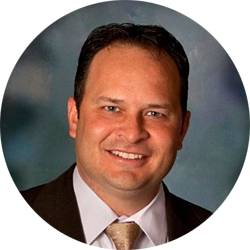 Ryan Baca, Vice President of About Talent, will facilitate a discussion with a panel of HR professionals that have sat on both sides of the table to provide a more comprehensive view of the experience. The panelists will share their experiences and methods that contribute to developing a productive relationship with an RPO provider. Anyone who is in or considering developing a relationship with an RPO provider would benefit from the information in this session. Specifically, human resource executives, business partners and supply chain professionals, or any manager responsible for hiring. Heather McGotty, Director of Human Resources, Welch’s Foods Inc.Heather McGotty is the Director of Human Resources at Welch’s, the world's leading manufacturer and marketer of Concord and Niagara grape-based consumer products. She’s been at the organization for the last 15 years and has spent over 25 years in human resources helping organizations achieve their best through people. Her team focuses on a wide range of human capital challenges ranging from recruitment and learning and development to organizational design and development at the highest levels of the organization. A native of Massachusetts, Heather graduated with a degree in Human Resources Management from the University of Massachusetts, Amherst. After a co-op at IBM in New York City in their Human Resources department, Heather was hooked on the field. For 8 years, she worked at Prudential Insurance Company in the Controller’s function, but gained experience in recruitment, training and development and employee relations. Upon moving back to Massachusetts in 1997, she worked at Fleet Bank (previously BankBoston) in their employee relations, recruitment and merger integration team. During her career, she’s had experience working with large and small teams in which she’s learned how to balance strategic leadership with hands on execution. Cynthia Cohen, Founder and Managing Director, MynT Consultants. 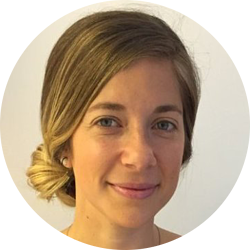 With more than 10 years of experience in the RPO (Recruiting Process Outsourcing) industry, Cynthia Cohen commenced her career as a Recruiter and eventually moving into an Implementation role. During the last 6 years, she has been involved in full life cycle implementations. 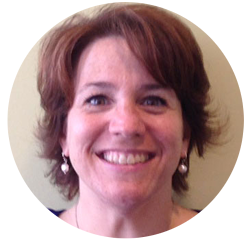 Her main expertise includes: project management, process map design & enhacement, CPI, ATS implementation, and training. 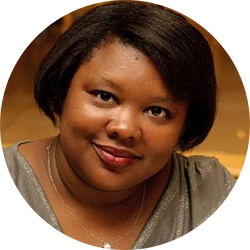 Cynthia co-founded Mynt Consultants with Maru Gonzalez with the purpose of having an impact on organizations that want to transform their recruiting processes. Mynt is passionate about lending its experience and knowledge to help clients and other RPO providers grow their practice and implement RPO solutions in US, Latin America, EMEA and APAC. Don Codner, Director of Operations for About Talent. 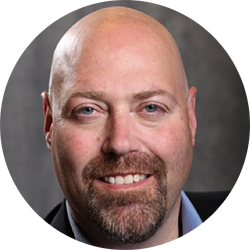 Don is responsible for the solution design and delivery of RPO, MSP, and project solutions across the practice. In this role, he is responsible for managing the Remarkable Experience Center (REC), client relationships and teams of recruiters and sourcers in the deployment of customized RPO solutions. Mr. Codner is experienced at utilizing best practices and recruitment process re-engineering in the successful management of total outsourced solutions. Prior to Joining About Talent in 2014, Mr. Codner spent twenty years in the HR and recruiting industry; He formerly held a positions as Sr. Director US Service Delivery of Korn Ferry’s RPO solution and Director of Kaiser Permanente’s Talent Acquisition and Workforce Planning department. He has also held senior leadership positions in HRIS and Talent Acquisition for companies including Oracle, PeopleSoft and J.D Edwards. Don has designed and delivered project and RPO solutions for Catholic Health Initiatives, SAP, Jewish and St. Mary’s Health System, Zimmer Holdings, Stanford, ThromboGenics, CSV, Otsuka Pharmaceuticals, and Response Genetics. Other noteworthy client relationships include; IBM, HP, Acer, Digital Equipment Corporation and Fluor Corporation. Mr. Codner excels at understanding client expectations, motivating his team to perform beyond those expectations, consulting with the client throughout the project and managing through continuous improvement. Malaika Kattke, Senior HR Manager, Americas for QAD. She is responsible for aligning and integrating business and talent strategies in collaboration with senior executives and business partners. Malaika balances and meets stakeholder needs by delivering comprehensive HR services and guidance on best practices. Malaika’s years of progressive HR leadership roles and extensive experience in all aspects of talent management has helped her gain an expertise in Talent Acquisition strategy. Currently she is working on RPO strategic initiative focused on functionality in a Corporate environment.